ISCTE-IUL promotes activities aimed at the social recognition of science and the extension of scientific culture to the public in general. The scientific activity of excellence that is done at the Institute is presented annually through numerous activities organized by ISCTE-IUL, its research units by professors and researchers. Is a working group represented with the communication science managers of each Research Unit of ISCTE-IUL, which was promoted by the Research Support Office and Projects. The creation of this working group was aimed at creating synergies and optimizing the work of science communication carried out at ISCTE-IUL. The COM'Investigar seeks to promote activities of dissemination and promotion of scientific culture, as well as to produce informative contents on the research developed in the Institute. 2018 | Conference ‘Horizonte Europe (2021-2027) and the european challenges for science’, with Carlos Moedas, European Commissioner for Research, Science and Innovation. See the interview to Carlos Moedas and the conference video. Initiative promoted by the Research Support Office and Projects, in articulation with the research units, which intends to tackle current issues by bringing research closer to society and contributing to a knowledge society. Researchers talk about the results of their research and invite all stakeholders to participate in the debate. Ceremony that, annually, foster and recognize excellent international scientific publishing authored by the ISCTE-IUL faculty and researchers. Please find more about the scientific awards here. This e-book, published every year, presents the new researchers and PhD students to the Institute's scientific community. See the 2017 edition. The scientific iniciation contest is directed for students of graduation and master's degree courses. The winners of the 2017 contest made a few testimonies (only in Portuguese). ISCTE-IUL is one of the partners of the European consortium 'European Researchers’ Night', under the Marie Curie Actions, aimed at celebrating science and bringing researchers and citizens closer together. 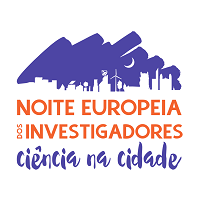 This consortium is coordinated by the University of Lisbon, and for the biennium 2018-2019 is dedicated to the theme "SCICITY - Science in the City", involving the Museu Nacional de História Natural e da Ciência, Universidade de Lisboa (MUHNAC-ULisboa), ISCTE – Instituto Universitário de Lisboa, Faculdade de Ciências da University Nova de Lisboa (FCT-UNL), Escola de Ciências - University of Minho, University of Évora, Escola Superior de Turismo e Hotelaria do Estoril and Lisbon City Council. This initiative, which seeks to break the barriers that separate science from citizens and demystify the distant image that the ordinary citizen has of the scientist, is an opportunity to disseminate the work of great quality and innovation developed by Portuguese researchers, as well as to highlight the importance of efficient communication between research centres and civil society. ISCTE-IUL has participated regularly in this initiative, with diversified activities, which involve the teams of all the research units. See the video. The Ciência Viva Agency fosters several initiatives that promote scientific culture for differentiated audiences. The ISCTE-IUL, through its research units, and in partnership with the Agency, carries out a variety of directed at younger audiences.